That’s right – we have another travel team headed to Russia this coming Thursday, September 27. This will be Mission 1:27′s sixth trip to the Slobodskoy orphanage and our team of travelers could not be more excited. 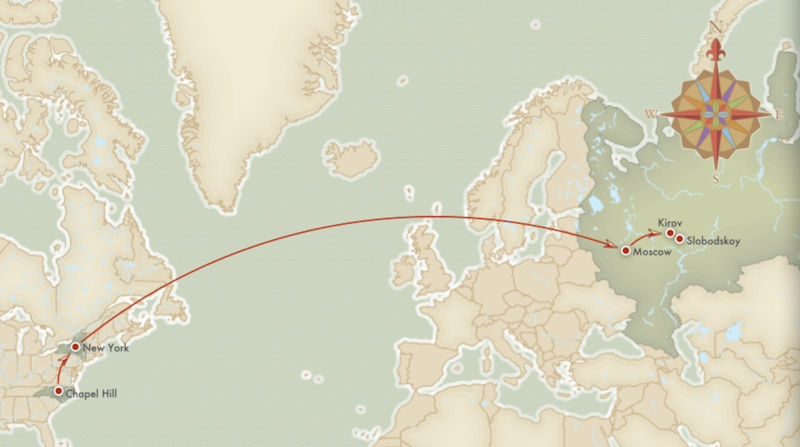 On this trip, we have seven adults traveling to Slobodskoy, including five folks who have never been to Russia! It should be an amazing and awesome trip filled with adventure, love, hope and redemption. You’ll hear more directly from the travel team in the coming days and during their trip. They have some fun activities planned with the kids, are going to go to church with the kids (the first time for a M127 trip) and will be delivering a large package of letters and a suitcase full of hugs and kisses. So stay tuned for updates…and hopefully some photos…over the next two weeks. To whet your appetite for their updates, here is a map of the 40+ hour door-to-door journey that they will take starting on Thursday. Invitations are in the mail and tickets are on sale NOW – so please click HERE to make your reservations or pay for your tickets. More details will come as the event date gets closer but don’t wait for those. Click on the LINK and reserve your spot at the must-attend event of the fall calendar year. Stay tuned to the blog as we are just getting started. As always, thanks for your continued support of and love for the dear children and devoted staff at the Slobodskoy orphanage in Russia.